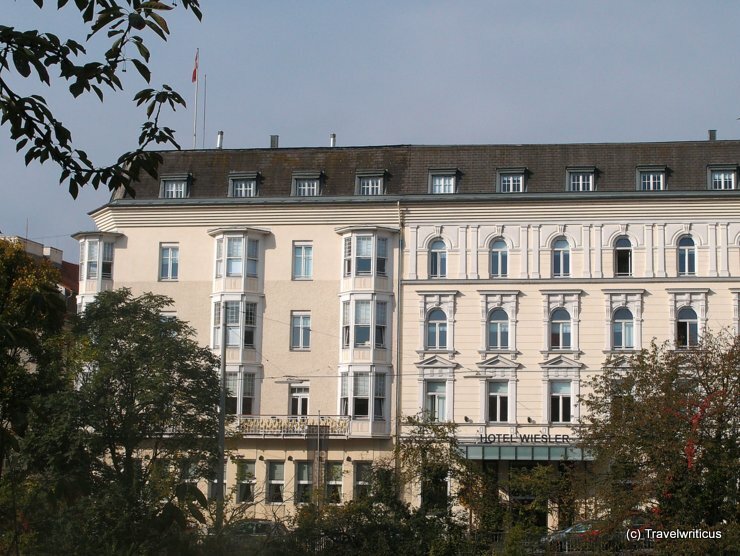 Hotel Wiesler is located next to the center of Graz. After a walk of a few minutes one reaches the Kunsthaus (Museum of Contemporary Art) or the central market place. From many rooms one has a fine view of the landmark of Graz, the Uhrturm (a clock tower). A view which some guests even have from their bathtubs as several of them are standing in the bays one can see at the first photo. 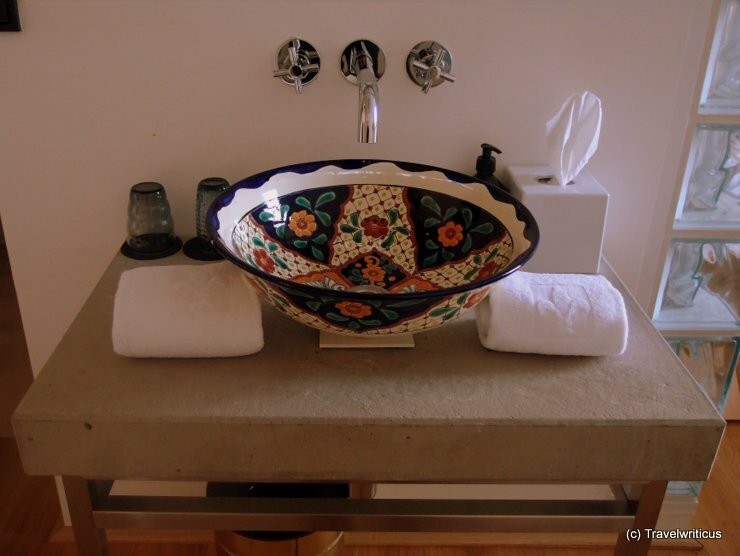 Unfortunately I didn’t have such a tub but I had this colorful basin instead. Looks pretty oriental, doesn’t it? Personally I loved the breakfast room most. The hotel was built in 1909 and so the breakfast room looks like. 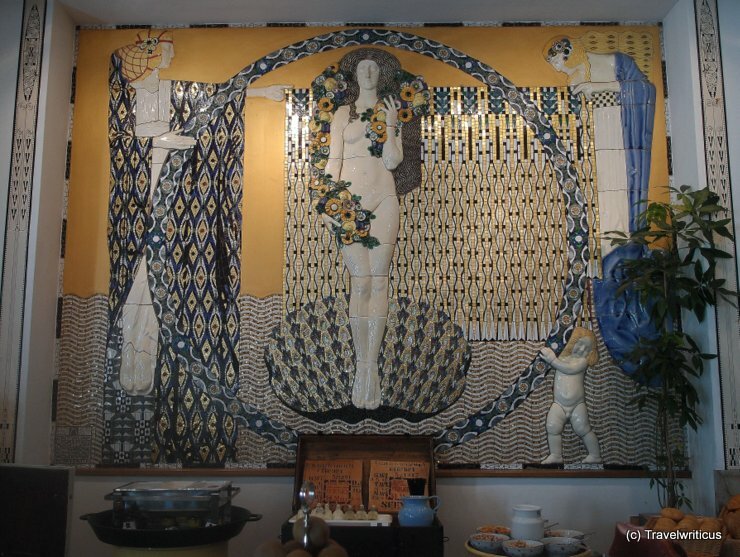 Can you imagine sipping your cup of tea while looking at this impressive example of Art Noveau (Jugendstil)? Well, the other parts of the hotel are different. The walls are partly without plaster. This isn’t a flaw, on the contrary it is the special style of the hotel. Personally it made me think to stay in a loft one can often see in US movies. By the way an interesting counterpart to the Art Noveau breakfast room is the restaurant named ‘Speisesaal’ at the opposite side of the lobby. Disclosure: My stay at Hotel Wiesler was sponsered by the hotel. 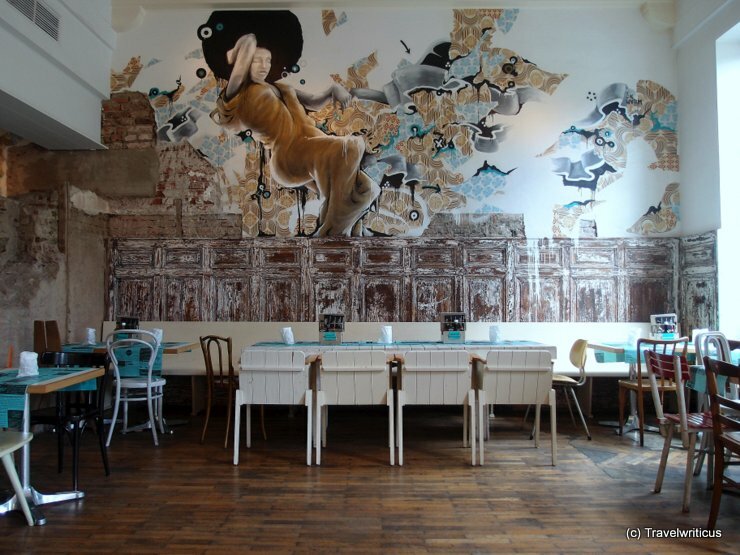 This entry was posted in Accommodations, Hotels and tagged Austria, Graz, Styria by Travelwriticus. Bookmark the permalink.